Delacamp AG is pleased to announce that it has been appointed as the exclusive distributor in EMEA by Kuroki Industrial Co Ltd.
With immediate effect, Delacamp will have the exclusive rights to distribute all Kuroki imaging products in Europe, Middle East and Africa. These products will include the complete Kuroki product line of all drum cleaning blades for laser printers and copiers such as wiper and doctor blades. Kuroki blades are already widely used in the remanufacturing industry and have enjoyed high acceptance through the quality of the blades and the polyurethane material used. 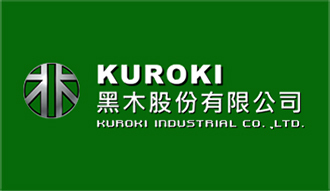 Kuroki, which is headquartered in Taipei, Taiwan, has been in business since 1989 and started to produce blades back in 1991. The company employs over 400 personnel and puts great effort in developing new products through their R&D department. They specialize in polyurethane products with PU Rollers, PU Wheels, and Squeegees included in their portfolio. Why should you pay a premium price for basic functionality if you can get state-of-the-art market leading technology at a reasonable cost? Sindoh is the market leader for Multi-Functional Devices/Printers (MFD/MFP) in South Korea with a market share of > 30%. Using a Sindoh MFP is like driving a BMW at the price of a KIA. You have all the needed features at reasonable costs because you do not have to pay the overhead on big marketing spending’s and other non-directly value adding activities. 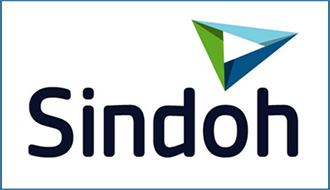 Sindoh`s current offering in the Russian market are the small footprint M403 and the larger scale N712. Both are available in Sindoh.ru`s Moscow based warehouse. The M403 is the only smart small MFP with the capability to scan A3 documents in one go and scale them automatically down to A4. Apart from this unique feature it offers fast 35-38ppm printing speed depending on the paper size. Of course can it scan, copy, fax, email and convert to PDF. The N712 is the A3 sized workhorse with an A4 sized footprint and up to 50ppm. Both machines are equipped with network interfaces and are readily available in Russian language. The new machines in the pipeline are the M612 monochrome All-in-One MFP with up to 47ppm and the D201/D202 color All-in-One MFP with up to 28ppm. The new M612 has the A3 functionality such as A3 scanning, A3 fax transmission as well as A3 copying and automatically downscaling to A4 in common with the M403. The M612 is a faster and higher duty device compared to the smaller M403 and has a unique color 5″ touchscreen GUI. In addition the M612 offers WIFI printing for Apple thorough Air-Print and Android OS devices using the Sindoh print app. The D201/D202 are the first laser based color A3 sized color MFPs developed, designed and manufactured by Sindoh. The D201/D202 are compact in size and offer easy to use features such as mixed paper size scans, portioned scans, scanning two sides of a A5 document and printing both sides on one A4 document as well as color selections for scans (automatic, all colors, B&W and B&W+Red). Supplies: 5K cartridge, 8K cartridge and 34K drum unit. Unique feature: A3 scanning and reformatting to A4 function. Supplies: 6K cartridge, 13K cartridge and 45K drum unit. Unique feature: A3 scanning and reformatting to A4 function. Wi-Fi printing from iOS and Android devices. Supplies: 30K cartridge and 50K drum unit. Unique feature: A3 MFP at an A4+ footprint. Unique feature: Scanning of ID, Business as well as other smaller than A5 size cards and printing both sides on one paper.